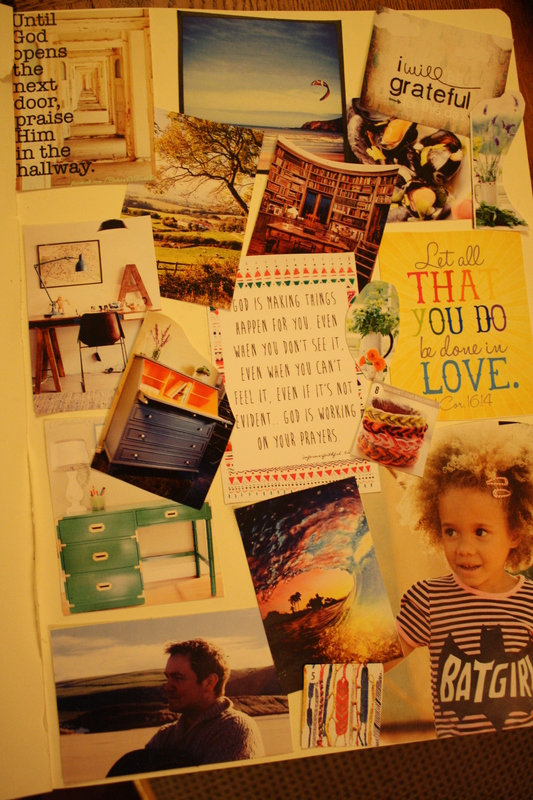 I mentioned in my This Week... post that I wanted to try doing some Inspiration Boards, as seen here at Penchanting. I think collecting inspiring pictures and quotes is great for helping us to express ourselves, relaxation time, developing creativity, motivation, keeping us both grateful and hopeful, and generally making us happy – so I’ve decided to start a little series on them. I’m going to post some mini-inspiration boards I’ve done in my sketch book every so often, and I’m hoping to get some other contributors to tell us what inspires them, too. *I’m getting stuck into my reading and writing this year, and planning to create a new desk and storage for my books, so I can have a really great ‘library’-come-workspace, so some of the pictures are inspiration for that. Don’t you just love libraries with ladders in them?! *Andrew and I are so excited about summer in Devon, and I generally love being outside and in the countryside, so the beach and field images are really restful, homely, hopeful images for me. *I love the reminder that even when we’re in waiting periods, hanging on for new seasons, there’s still plenty to praise God about, and the promise to be grateful really resonates with me at the moment. *All I want to eat at the moment are fish dishes. Earlier in the week I cooked a coconut fish stew from Hugh Fearnley Whittingstall’s Three Good Things, and I’m looking forward to doing mussels, leek and cider from the same book. So summery, but also comforting in the rain and cold. *As well as getting creative with words, I really want to improve my jewellery making technique this year, and I love all these simple yet colourful friendship bracelets. *I’ve had some ups and downs in the last year or two, but am really realising the truth of the quote above at the moment. 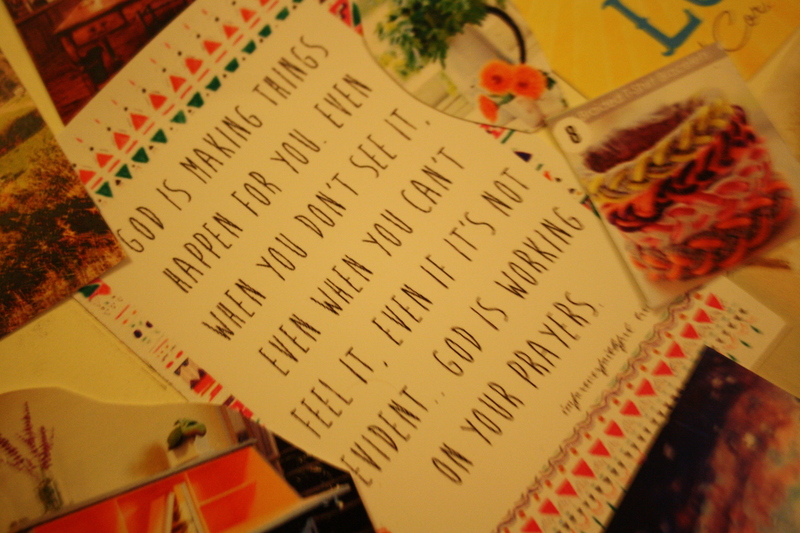 God works in mysterious but very wonderful ways! If you would like to submit an inspiration board to me and answer some questions about it here, do get in touch!